Natural Glass company engaged in glass and mirror business and unify the most experienced professionals that love what they are doing. We offer you a wide variety of glass services including: Shower Doors, Glass Bathtub Doors, Kitchen Backsplash, Mirrors, Mirrored Furniture, Glass Table Tops, Glass Home Doors, Glass Railing, Glass Shelves, Glass Wall Systems, Glass Office Partitions, Pool Fences and many others. We design, install, repair and maintain glass and mirror products. Our team are ready for difficult, big and small projects and happy to support your design process from the very beginning till the final installation. 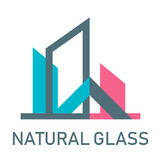 Natural Glass company aspires to the constant and comprehensive development and to the fruitful partnership cooperation. We are glad to work with architectural and construction companies as well as with small businesses and interior design studios. 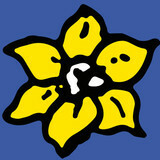 We are trying to do the best we can to satisfy all customer needs. We are one of New York's best kept secrets.. a small tight crew of tradesmen furnishing designers, architects, residences and contractors with high-end, quality glass products and installations for over 25 years at astonishingly affordable rates way lower than those at any regular storefront. Family owned and operated, you can count on us to stand by our work. We put you first to make sure you're getting exactly what you were looking for. We can serve all of your glass needs. From custom mirrors, shower doors and much more, our expertly trained technicians can handle it all. We have a large variety of shower doors to give your bathroom the customized look that you've always dreamed of. We'll take the measurements and complete the installation to ensure that your beautiful new bathroom fits your needs, as well as your budget. When you choose our doors made with Starphire glass, you'll also be getting a lifetime warranty. You can count on us to use quality materials. Enhance your home or business with a customized mirror. With 62 years of experience, we offer quality products that you can rely on. Whether it's a two-way mirror for security, or a frosted contemporary design mirror, we have the products that you'll love. Add a classic look to your room with a beautiful piece of mirrored furniture. Outdated windows and doors are typically the number one cause for a structure to not be energy efficient. Not only can we help you control your energy costs, but we can also update the look of your home or business. We work within your budget and can even give new life to your existing doors or windows with our custom glass. We can help you accent your stairs and balconies with customized railing. Add a glass railing, partition or sneeze guard for all your needs. Our staff at Monmouth Glass Co. Inc. can help you pick what you need to complete your home. No matter what angle or size you need, we will design the perfect railing or partition for your home. 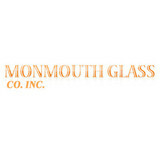 If you're seeking an unparalleled custom glass experience, call the professionals at Monmouth Glass Company. Let us meet all of your glass needs and provide you with gorgeous custom glass work that will last for years to come. Glass Company offer a full range of glass services in New York, Brooklyn, Queens, Manhattan, Staten Island, the Bronx, Nassau county, Suffolk county, Long Island NY, Jersey City, New Jersey and rest of East coast. We are a full service glass and mirror company that provides service to the residential and commercial sectors.We offer a quality glass and excellent service at a competitive price. We specialize in all aspects of production glass products. Such as glass tables, mirrored tables, product displays, glass displays, glass wall-mounted shelves, shelves, cases, work desks, glass desks, mirrored desks, wall-mirror with shelves, bookshelves and others. Choose the Glass Company in New York City you choose the leading company where you can find all of glass tables you needs. Such as dining tables, coffee tables, cocktail tables and dressing tables. We provide the experience and quality necessary for customers to create a modern design at home for private persons, business, institutions, office, retail and organisations. Our mission and goal is to keep the customer's best interest in mind - high quality products, fair pricing, reliable and dedicated service. Our experience has provided us with a wide range of jobs and projects, preparing us for anything. Our friendly experienced staff will help you make the right choice. E-mail us for any questions you might have. Follow us on Facebook, Twitter, Linkedin, Instagram to learn about new products, special discounts and sale. Glass Fence Fabrication & Installations New York. We are committed to quality, service, value and honesty to all. We are dedicated to providing the very best products And Service in the glass industry. We Provide Custom Frameless Shower Doors New York, Glass Enclosures, Splash Screen, Tub Shower Door, Serenity Sliding Glass Door Services in New York Cities. Brooklyn based glass furniture manufacturer would fulfil your ideas and dreams. We provide standard and customised furniture for private persons, businesses, institutions and organisations of us east coast. Fro single orders to the hotels, business and convention centers, offices and hospitals or goverment institutions, our company provide wide range of exceptional quality glass dining tables, coffee tables, cases, shelves, product displays, office work desks among many others. Custom orders accepted from NY, NJ, CT, RI, PA. Crystal Glass and Mirror Corp., is a well-established family-owned business proudly serving the greater NY metro area and NJ. When it comes to providing glass or mirror products for your home, Crystal Glass and Mirror Corp. is your number one source. We manufacture and install custom shower doors and enclosures, storefronts, glass entrance systems, railing systems, "UV" bonding products, table tops, wall-to-wall mirrors, closet doors, and many more custom glass and mirror products. We have successfully completed a variety of commercial and residential projects throughout the greater New York region. We equate the quality of or work with that of our staff and therefore hire only the most experienced and best glass mechanics in the area. Our personnel are experts in the field of glass and mirror craftsmanship. We guarantee the quality of work you will receive! The understated beauty of glass will lend elegance to your home or commercial space, and mirrors carefully placed will open and brighten small urban enclosures. We endeavor to satisfy our clientele with our fine aesthetic sensibility and excellent craftsmanship and have been doing just that for over 14 years. In fact, over 85% of our customers are referred by existing customers in Manhattan, Brooklyn, Queens, Staten Island, The Bronx, Westchester, Long Island and New Jersey. 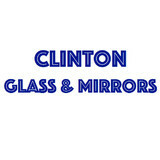 "Glass And Mirror Fabrication & Installations New York. We are committed to quality products and services, value and honesty to all. We are dedicated to providing the very best products in the glass industry.our passion for glass And Mirrors, innovative spirit, fresh vision and extensive experience result in fascinating decorative architectural glass that adds gracious and beauty to museums, high-end hotels, banks,bars, casinos, corporate offices, schools, restaurants and medical facilities as well as luxurious residences throughout the tri-state New York City area and the whole country. Glass and Mirror Fabrication & Installations New York. We are committed to quality, service, value and honesty to all. We are dedicated to providing the very best products And Service in the glass industry. Our passion for glass, innovative spirit, fresh vision and extensive experience result in fascinating decorative architectural glass that adds gracious beauty to museums, high-end hotels, banks, casinos, corporate offices, schools, restaurants and medical facilities as well as luxurious residences throughout the country.""" "Glass Table Tops Fabrication & Installations New York We are committed to quality, service, value and honesty to all. We are dedicated to providing the very best products And Service in the glass industry. Our products adds gracious and beauty to museums, high-end hotels, banks, bars, casinos, corporate offices, schools, restaurants and medical facilities as well as luxurious residences throughout the New York tristate area and the country. You've come to the right place. Here at Glass Table Tops Fabrication & Installations New York we have the capability to custom cut, bevel, polish and temper your glass at our manufacturing shop in Brooklyn, NY. Glass Table Tops Fabrication & Installations New York is committed to quality, service, value and honesty to all. We are dedicated to providing the very best products in the glass industry. Our passion for glass, innovative spirit, fresh vision and extensive experience result in fascinating decorative architectural glass that adds gracious beauty to museums, high-end hotels, banks, casinos, corporate offices, schools, restaurants and medical facilities as well as luxurious residences throughout the country." Capital Force Glass Inc is a well-established family-owned business with over 10 years experience providing glass services in NYC. With a considerable experience in Glass Service, We proudly assure our customers the Quality of work they will receive. We hope you can find everything you need. UNITED GLASS LLC is focused on providing high-quality service and customer satisfaction - we will do everything we can to meet your expectations.